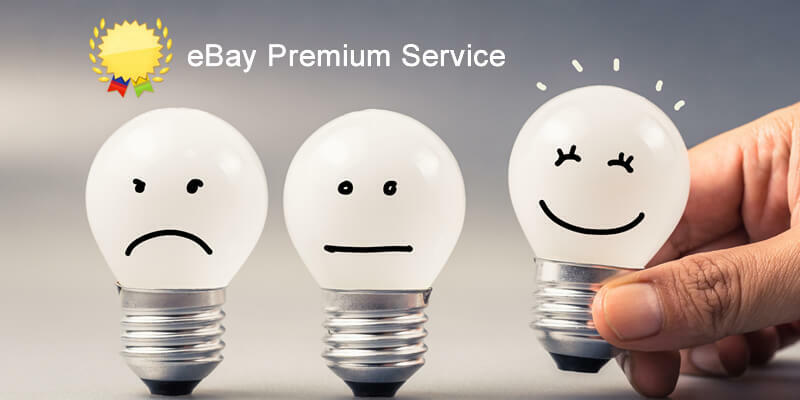 As a Top Rated Seller on eBay, you can offer a Premium Service to your customers. As always, there are certain requirements for this that you’ll need to comply with. The recent Spring Seller Update introduced new rules that you’ll have to follow in order to be able to offer the eBay Premium Service. Don’t worry if you still haven’t made those changes – eBay has just delayed the deadline. In this Spring Update, eBay has announced that in order to qualify for the Premium Service, sellers need to offer 3-day free shipping service and a paid next-day shipping option on their products. The paid next-day delivery can be a 2-day shipping option, but should not cost more than £10. Also, a valid tracking number has to be offered for items sold for a value bigger than £20. This tracking has to be uploaded to eBay within the dispatch time. The new requirements should have kicked in from the 1st of June, however, eBay has postponed the change until the 1st of July. These new, clear rules will put an end to sellers playing around with offering a free shipping service with a long delivery time and a very expensive paid delivery option.